It seems like cargo is here to stay—from cargo pants to cargo vests, we’ve put all of our chips in on this trend. Just because your cargo vest comes equipped with many pockets (perfect for midday snacks & lipgloss), it doesn’t mean you have to go fishing. Look to the season’s on-trend colors to layer underneath your cargo vest. If it’s fall and you’re looking to bundle up, go for a fall-hued sweater paired with jeans. For summer, combat any chance of a chilly summer breeze with a lightweight blouse in a spring hue. If you’re not one for color, a green utility vest looks just as on-trend with your favorite neutrals. Instead of defaulting to your favorite solids staples (like a cozy tee or a button-up), look to a patterned or graphic top underneath your cargo vest. Prints like gingham, plaid, floral and geometric prints pair well with cargo green. Cargo vests typically have a menswear feel, so try pairing an ultra-feminine piece underneath. Think a maxi dress or even a fit and flare dress. 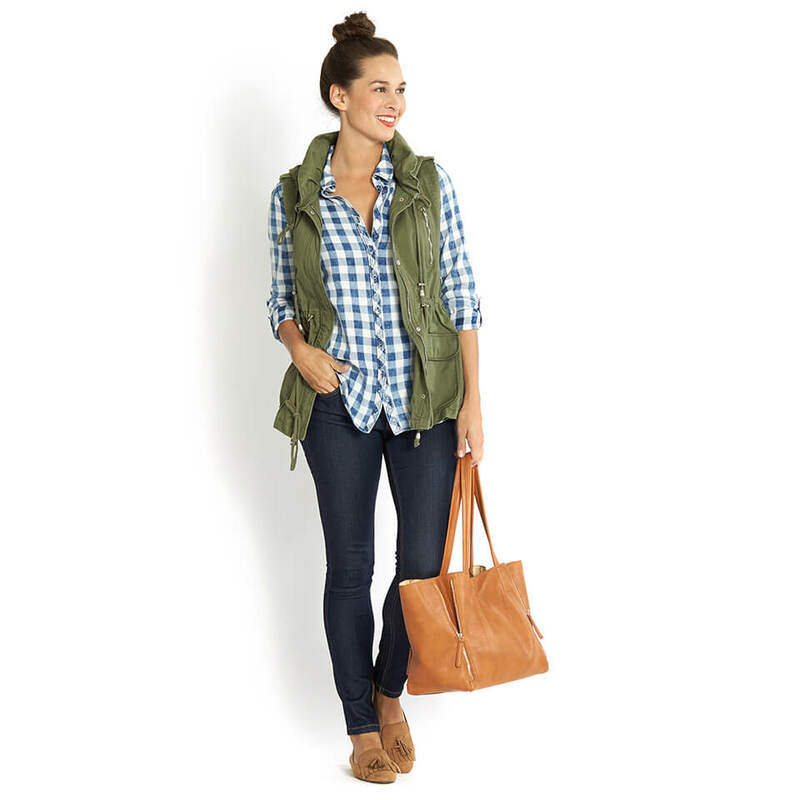 Stylist Tip: If your cargo vest has a cinched waist, even better! This will help define your figure and create an hourglass silhouette. How will you style your cargo vest this season? Share your outfit ideas in the comments!